Weight loss, pregnancy, and old age can result in the sagging of the skin and the loss of elasticity. Skin tightening could be done using radiofrequency, pulsed light work or other non-surgical skin tightening techniques. Some of the common radiofrequency devices are Solta's Thermage device or Alma's Accent. The common pulsed light devices are Cutera's Titan or Sciton's ST. Syneron's Velashape which are a combination of radiofrequency and light energy. 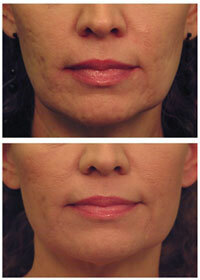 Radiofrequency (RF) helps to stimulate and effectively tighten your skin tissues. Pulsed light treatments stimulate the repair cells in your skin. The main difference between pulsed light and RF is that in pulsed light treatment, the epidermis or outer skin layer is not damaged while in radiofrequency, light energy heats up the deeper skin layers during the treatment. The natural wound healing mechanism of the body results in changes in collagen in the skin. This causes skin tightening. A series of treatments are generally performed. In non-surgical skin tightening technique, the area or site to be treated is completely cleansed of makeup using skin lotions. Some treatments make use of a thin coat of ultrasound gel during treatment. Premedication may be needed based on the device used, treatment site, and your individual requirements. The treatment may take several minutes or even one hour to complete.